Amazing property! Don't miss the opportunity to see this Ranch style home that offers everything your choosiest buyer could want! 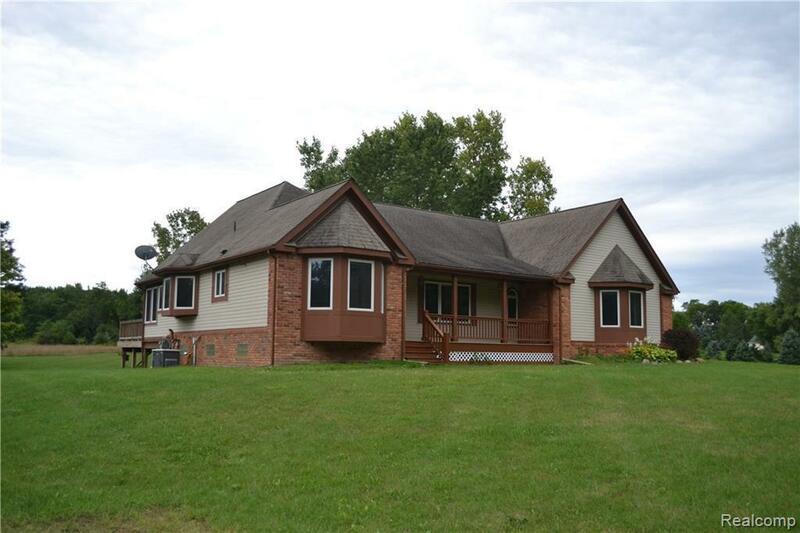 4 bedrooms, total of 4 bathrooms (2 full/2 half), amazing wood work throughout. 2 fireplaces, Central Air, side-entry garage, and whole house generator. 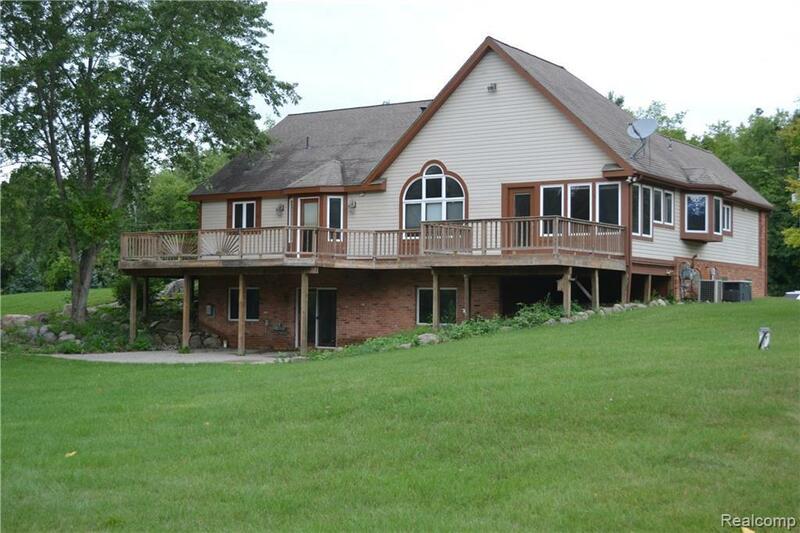 Incredible bar and living space in the lower level walkout - great for entertaining. 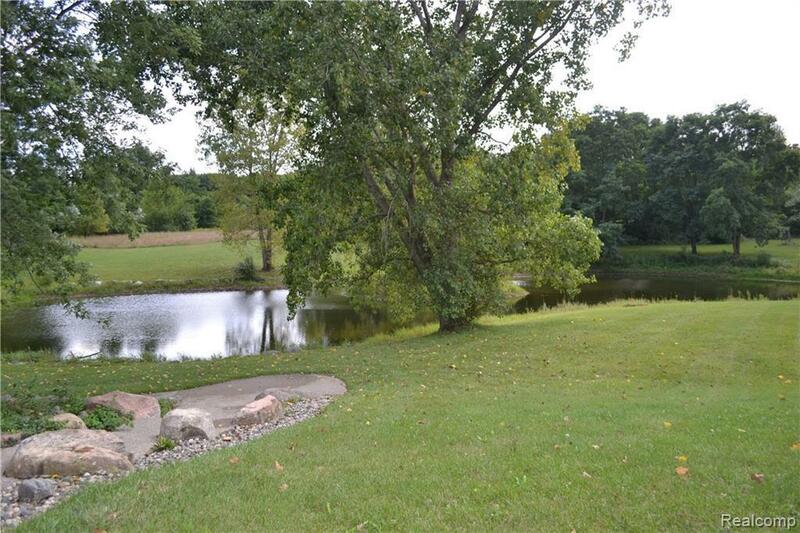 Almost 8 acres of private, rolling acreage includes a pond where wildlife likes to visit! Outbuilding offers workshop, loft for storage or playroom, and is heated. 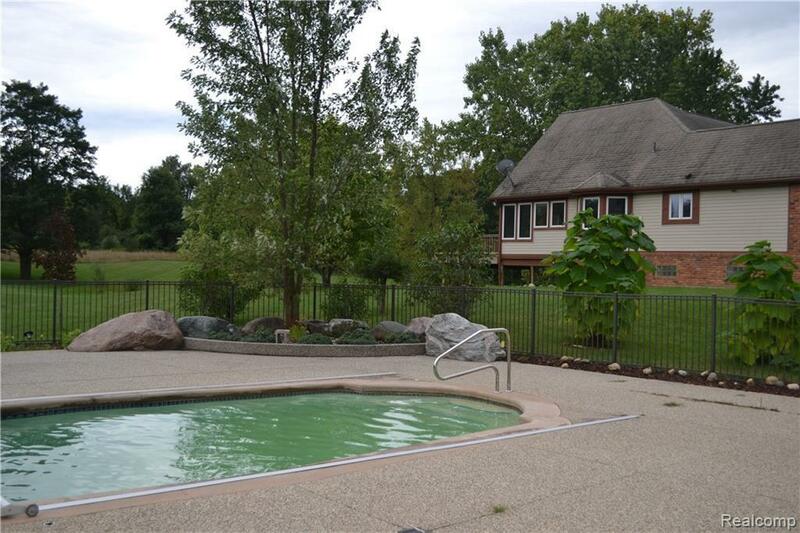 In-ground pool with electric pool cover, great landscape includes lots of $$$ in boulders and trees, fenced, and even little pool house area off the back of 2nd Garage. Master suite is handicap assessable. Listing courtesy of Real Estate One-Clarkston.